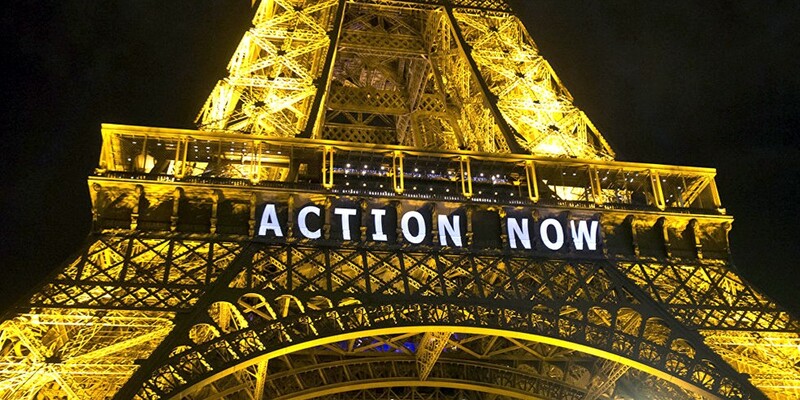 Less than a year after the landmark Paris Agreement was adopted at COP21, the Paris Agreement entered into force. The world has already seen a significant shift towards stronger climate action. The adoption of the Paris Agreement delivered a signal to governments, businesses and the global public: All parties, from national governments to small businesses, must do their part to minimize the risks and impacts of climate change. This signal has mobilized actions by public and private sector institutions to move away from fossil fuels, which contribute to climate change, and towards an economy powered by renewable energy. Coal-burning power plants are the top source of carbon emissions in the U.S., and a leading driver of human-made climate change around the world. Since the adoption of the Paris Agreement, there has been significant progress in the phase out of coal as an energy source. A month after the Paris climate talks, the Obama administration announced that it would halt new coal mining leases on public lands. Governments around the world from the European Union to oil giant Saudi Arabia announced also moves away from fossil fuels. In fact, even before the treaty entered into force, countries reached milestones in generating power from cleaner sources. A study found China, that the world’s largest emitter, already peaked its coal use — a turning point for fossil fuel consumption. In May, coal-generated energy in the UK fell to zero for the first time in a century while in September, Costa Rica celebrated two months of burning no fossil fuels. The Paris Effect on the fossil fuel industry has extended to the private sector as well: In March, financial giant JPMorgan stopped financing coal mines around the world due to the threat from climate change, and in October, French bank Societe Generale announced it would do the same. The shift away from the use of fossil fuels is only one part of the fight against global warming. The Paris Agreement goes further, urging the world to transition quickly to a low-carbon, sustainable future. In order to fully power this future, clean energy technologies such as wind and solar need faster investment, development and deployment. Since December, actors on every level – countries, states, businesses and individuals – have displayed a massive appetite for clean energy, which attracted a record $329 billion investment in 2015. The private sector and financial markets have helped drive the growth of the clean energy industry, as solar reached a record low price in December and major companies like Apple and General Motors pledging go 100% renewable. International climate action has accelerated since the Agreement’s adoption. Most notably, leaders from the U.S., Canada and Mexico reached a landmark agreement in June to generate half their electricity from clean energy sources by 2025. The Paris Agreement sent a price signal to markets, companies and investors across the world, accelerating a shift in funding and investment patterns that preceded Paris but has intensified since. The private sector and and state-owned enterprises have begun widespread assessments of their exposure to climate risk, which was reflected by the Financial Stability Board’s creation of a climate financial disclosure task force. The Paris Effect continues in the financial world as major players like Moody’s and BlackRock warn of climate risk. Investors, too, have demonstrated a shift towards climate-friendly energy sources, heading toward what analysts are calling an “investor death spiral” for fossil fuel companies. Businesses and governments have also shown an increased willingness to put a price on carbon, as evidenced by China’s announcement that it will expand its carbon trading market to eight major industries and the Canadian prime minister’s direction to provinces to enact a carbon tax or cap-and-trade scheme by 2018. Since the adoption of the Paris Agreement, the divestment movement’s momentum has grown steadily. Over the past year, prominent figures across the world, from California’s insurance commissioner to the World Medical Organization, have joined the call for divestment to protect themselves from the financial risks from climate change. A growing number of cities, countries and private institutions have already divested their funds from fossil fuel holdings this year, including cities like Copenhagen, Berlin and Sydney, Norway’s sovereign wealth fund–the largest in the world–and the Rockefeller Family Fund. The Paris Agreement has acted as a signal to the world that it’s time for strong climate action and a rapid shift to a clean energy economy. Governments, businesses and individuals have already heeded this call and an ever-increasing number are joining the movement as the Paris Effect continues to spread around the world. MoveGreen is a youth environmental movement in the Kyrgyz Republic. Our aim is to support and inspire environmental awareness and positive environmental actions through expertise, volunteering, and education. MoveGreen is run by young people, for young people, and is a member of the Climate Action Network in the Kyrgyz Republic. Все права защищены. При использовании материалов сайта ссылка на "Movegreen.kg" обязательна.